BETHESDA, Md. 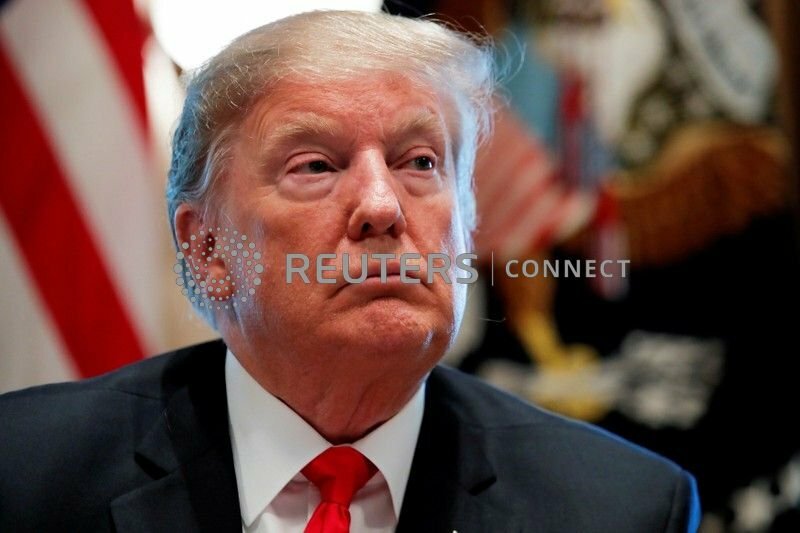 (Reuters) - President Donald Trump was declared "in very good health" by the White House physician on Friday after four hours of examinations in what amounted to a test of whether his doctor's order that he follow a healthier diet has paid dividends. Little more than a year ago, Trump's doctor declared him in "excellent health." But the president was directed to try to lose 10 to 15 pounds (4.5 to 6.8 kg) by eating better and starting to exercise. There is little evidence to indicate he has lost a significant amount of weight. Trump weighed 239 pounds (108 kg) at last year's physical. His resting heart rate was 68 beats per minute (bpm), his blood pressure was 122/74, and his total cholesterol was 223 (HDL 67, LDL 143). In last year's exam, a stress test found above-average exercise capacity. A cognitive assessment was normal.